The month of October is all about my top recommendations for all types of food dishes, drinks and anything else I can think of. It only makes sense to start with the food I request all the time, sushi! 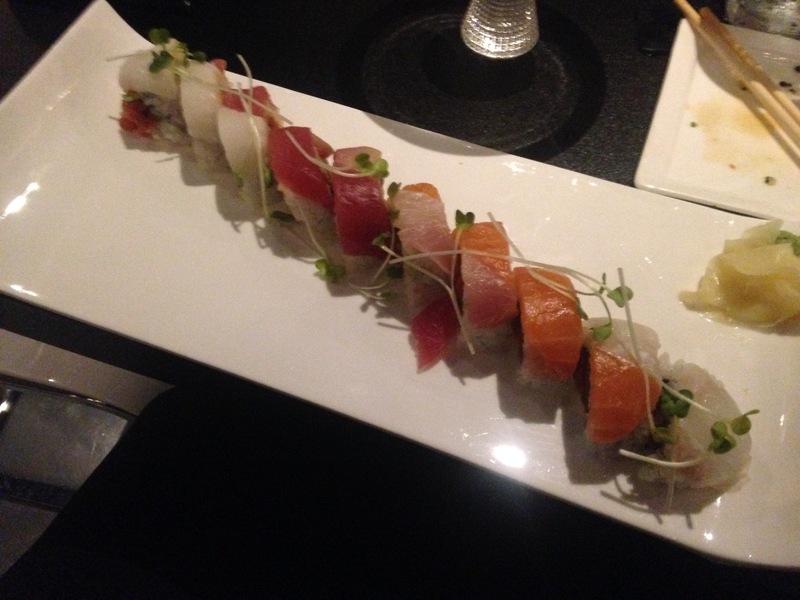 Everyone varies on the type of sushi they prefer but my list will provide a little bit of everything. I love this roll because it allows you to try a couple different types of fish all within one roll. Shakou also gives you the option to switch to black rice or soy paper. If you have never tried sushi with black rice then you are really missing out. It adds a unique flavor to the roll and is healthier than white rice. 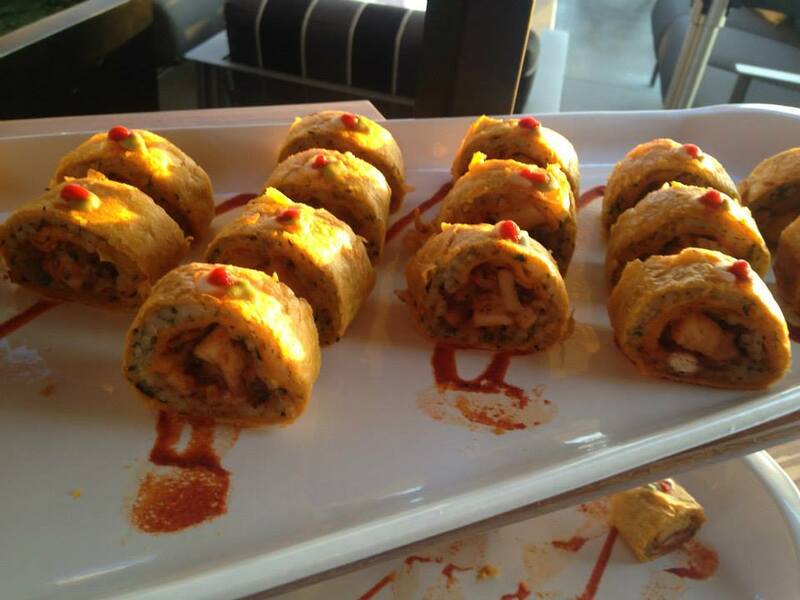 So next time you are at Shakou try one of their rolls with black rice. Delicious! We used to live right up the street from Sakamoto so this was our go-to place for sushi every other night. My favorite roll is the Alien Feet. Not only does it have a fun name but it is cooked and has this sweet chili sauce that brings it all together. 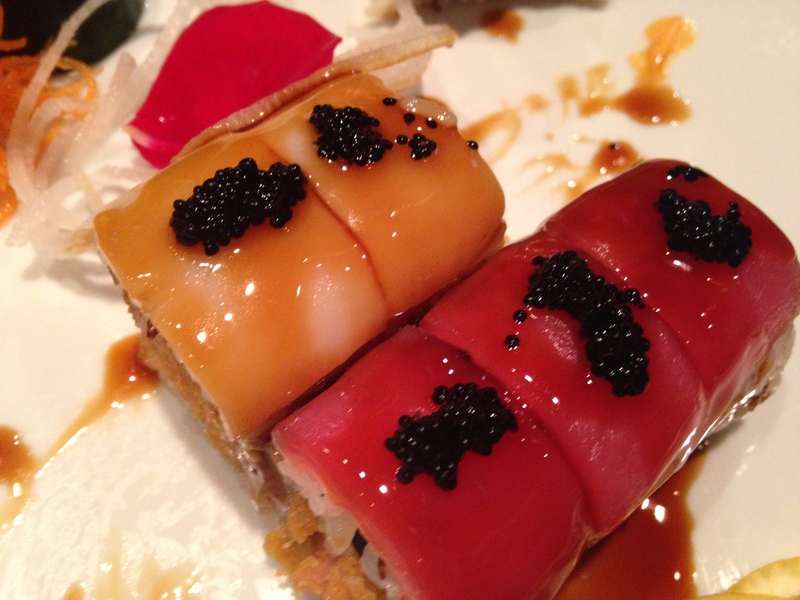 This is the roll that we always made our friends try when we would bring them for their first Sakamoto experience. This is my husband’s favorite sushi roll! Named after Northern Illinois University’s mascot, this roll combines three different types of tuna for a delicious roll. Another positive is that this specialty maki roll is affordable! This is probably the most basic roll on my list but I feel like the tuna used at Mr. Samurai is fresh enough to warrant a spot on this list. The first time I ever had a hand roll I was at a business meeting and the person with me ordered us each one. It was an experience I will never forget because it is always an adventure trying to eat a hand roll in a professional setting without looking like a pig feeding your face. This spicy tuna roll is perfect dipped in a little soy sauce. It is not often that you can find a delicious roll that has red meat or even filet in it, so we were surprised to find this roll on the menu. This roll combines crab salad, spicy tuna and seared filet-mignon to create a delectable roll that is spicy and unique all in one. When we take friends and family to Shinto we always order this one because even the strongest seafood hater will overlook the crab and tuna for a chance to try the filet. has cilantro sticky rice, jalapeno tortilla and sriracha hot sauce – to make this the spiciest roll on my list. This is a great appetizer to enjoy with a cold beer while playing a round of Topgolf. I gave you some options to try next time you are out enjoying sushi but what sushi roll or sushi spot should I add? This entry was posted in Date Night, Traveling on Thursday, Uncategorized and tagged DeKalb, foodie, Naperville, Oswego, St. Charles, sushi, Topgolf, Traveling Murphy. Bookmark the permalink.